90 Day Fiance hubbies Jon Walters and Jay Smith recently exchanged verbal jabs on Instagram. This comes during the fallout from Ashley Martson and Jay’s most recent scandal. TLC watchers have been skeptical of the pair for quite some time now. But, now it’s not just the fans calling them out. Other 90 Day Fiance members are letting Ashley and her husband Jay have it. They’re not pulling any punches – least of all convicted pub pugilist Jon Walters. 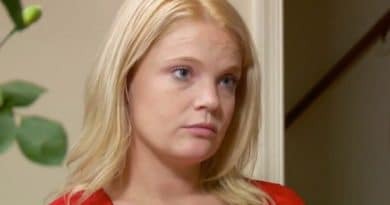 90 Day Fiance cast member Jon Walters is known for not holding back when it comes to expressing his opinions. In his extensive arsenal of colorful language, c*** is by far his favorite pronoun. This time, rather than getting into verbal sparring matches with heckling fans, Jon Walters had Jay Smith in his sights. 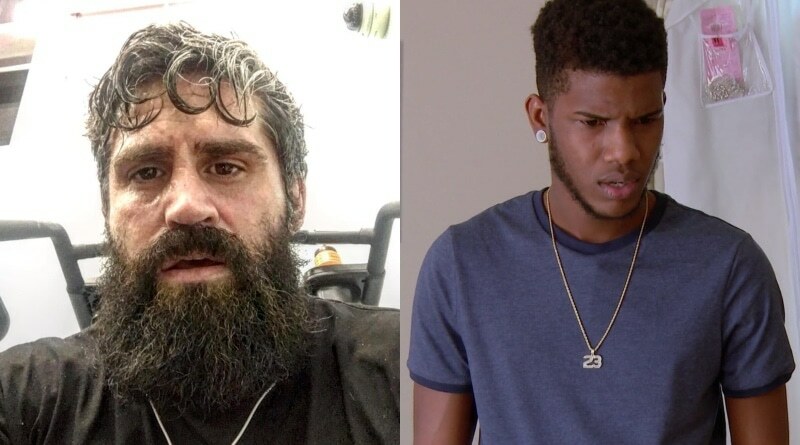 In Jon’s trademark tongue-in-cheek style, he also called out the 90 Day Fiance Jamaican ladies’ man for going live on the troll account they blamed on Ashley’s former BFF Natalie Crawford. Jon ended things with a bit of snark as well, saying: “Ps your new shoes are f****** awful”. Another of the 90 Day Fiance stars most hurt by this recent scandal is Paola Mayfield. She said she was blindsided by it all. She was one of Ashley and Jay’s biggest supporters up until the latest controversy broke. Paola took to Instagram to address the issue. While her response isn’t as direct as Jon Walters, it doesn’t pack any less of a punch. 90 Day Fiance alum Paola Mayfield went on to describe how she actively promoted Ashley Martson and Jay Smith on Instagram. In addition, she even promoted Ashley’s GoFundMe. 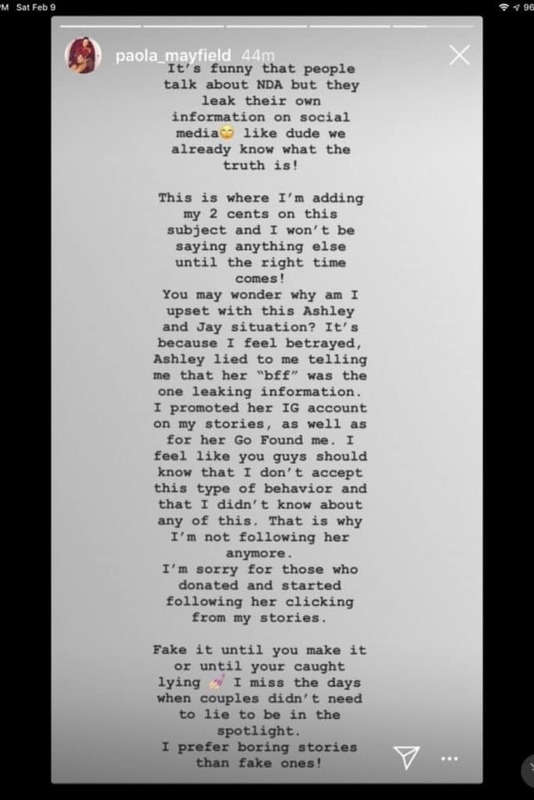 She went on to say that “I didn’t know about any of this.” She apologized to those that donated to and followed Ashley thanks to Paola promoting her on her Instagram story. Paola also admitted that she no longer follows Ashley. Late at night on Instagram live, Jon Walters and John Yates had a gabfest about Jay Smith and Ashley Martson. Jon didn’t hold back there either. While fans watched and commented, many chimed in with new nicknames for the couple including Trashley and Ashtray. But that’s nothing compared to what Jon said. He revealed that when Ashley Martson was hospitalized at the end of 2018, it was not lupus but a bad case of constipation. He also said that he doesn’t doubt that she has lupus, but said she shouldn’t be hitting up fans on GoFundMe. He said Jay Smith should step up as a husband, be a man, and provide for his wife when she’s sick. Where Does This Leave Ashley and Jay? Along with the social media uproar this latest scandal generated, there are some real-world consequences as well. 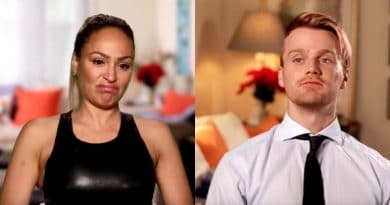 In addition to the viewer and cast member backlash, a number of companies have dropped the 90 Day Fiance pair as well. 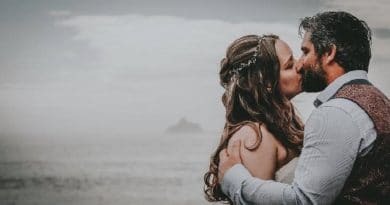 Recently, Ashley Marson confirmed she and Jay Smith will appear in two more TLC series following 90 Day Fiance Season 6. But many are calling on TLC to pull the upcoming season of Happily Ever After in lieu of this latest scandal. It’ll be interesting to see how TLC responds to this controversy. It seems Ashley and hubby Jay were prepared to appear in more television programs for the network. That said, the backlash from recent events may be too great for TLC to dismiss. Check back with Soap Dirt for more on this ongoing 90 Day Fiance story.